Minex Metallurgical Co.Ltd - Manufacturer of aluminium copper master alloy, carbon wire cored & aluminum cerium master alloy in Mumbai, Maharashtra. In carbon cored wire, carbon powder is encapsulated in steel sheath. 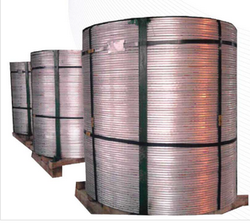 Carbon cored wire is used as trimming addition to adjust carbon in steel melt. The carbon cored wire is injected into the depth of steel melt at trimming temperature (1600°C). Generally the recovery of carbon is found to be above 90%. 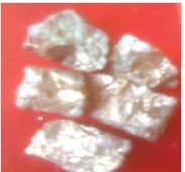 By: Minex Metallurgical Co. Ltd.